The National Pension Commission (PenCom) has been applauded by stakeholders for heeding complaints of retirees and reverting to the old Programmed Withdrawal (PW) template. PenCom had last week, directed all licensed Pension Fund Administrators (PFAs) to revert to the old programmed withdraw template in processing of retirement benefits under the Contributory Pension Scheme (CPS), after it was inundated with complaints from several quarters indicating concerns against the new template. The Chairman, Trade Union Congress of Nigeria (TUCN), Francis Ogunremi, told Inspenonline in telephone interview that the decision taken by the pension regulator was a welcomed development. He also urged the commission to always carry stakeholders along before taking key decisions that concern them. According to him, the commission should endeavour to forestal anything that works against the interest of fund owners, stressing that fund owners should be considered while planing with their funds. Director, Centre for Pension Right Advocacy, Ivor Takor, said the commission should be congratulated for listening to cries of stakeholders, noting that the whole issue of pension industry is for contributors and retirees. 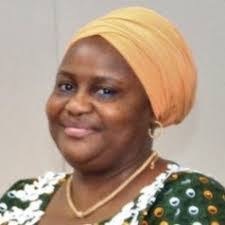 Past President, Pension Funds Operators Association of Nigeria (PenOp), Longe Eguarekhide, gave kudos to the Acting Director General of PenCom, Mrs. Aisha Dahir-Umar, for the decision, adding that she has being forthright in dealing with issues promptly as they emerged. Head, Corporate Communications PenCom, Peter Aghahowa, said the commission suspended the implementation of the template to pave way for consultations with stakeholders. According to him, the commission had received complaints from stakeholders on the the new template, stressing that as a responsible organisation, the commission had to suspend its implementation for further consultations. A circular issued by PenCom and sent to all licensed PFAs, which was obtain by this medium, stated that following the recent implementation of the revised template for programmed withdrawal as a mode of accessing retirement benefits under the CPS, the commission has received complaints from several quarters indicating concerns against the the new template. PenCom in the circular, noted that it has embarked on extensive consultations with critical stakeholders on the implementation of the new template, which is meant to address the challenges of the old template and other complaints of retirees. “Consequently, it has become necessary to suspend the implementation of the revised programmed withdrawal template pending the conclusion of the consultations with stakeholders and representatives of retirees. “Accordingly, all licensed PFAs are hereby directed to revert to the old programmed withdrawal in processing of retirement benefits under the CPS until further notice,” it said. PenCom maintained that all pending applications in its possession would be returned yo respective PFAs for reprocessing in line with the old programmed withdrawal template. The suspended template reduced lump sum benefit from about 50 per cent to 20, a decision PenCom said was to enable retirees have improved monthly pension benefits. The template also mandated PFAs to use parts of their returns as enhanced monthly pension benefits. PenCom boss said the commission initiated the Pension Enhancement Programme to enhance the monthly pension of retirees in the Contributory Pension Scheme. She noted that it was discovered that the returns being generated by the PFAs on the balances of the Retirement Savings Accounts (RSAs) of majority of retirees could be used to enhance their monthly pensions, stressing that with that in mind, PenCom sought for and obtained the approval of the Secretary to the Government of the Federation to implement the pension enhancement. This, she said, resulted in increased monthly pensions for most retirees receiving pension under the Programmed Withdrawal arrangement, with effect from December 2017.